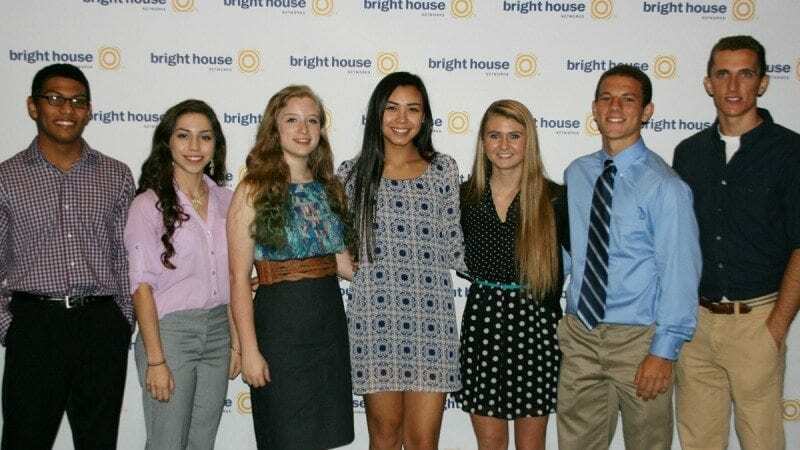 Several Polk State Chain of Lakes Collegiate students are semi-finalists in the Bright House Networks Bright Ideas STEM from Today's Youth contest. Nine students from Polk State Chain of Lakes Collegiate High School are getting regional attention for projects they developed in the school’s STEM class. The students are semi-finalists in the Bright House Networks’ Bright Ideas STEM from Today’s Youth competition. According to Bright House, the competition is intended to inspire youth to develop ideas with world-changing potential. The contest is open to youth in each of Bright House Networks’ service areas: Bakersfield, Ca., Birmingham, Ala., Livonia, Mich., Indianapolis, Orlando and Tampa Bay. Nine students from Polk State Chain of Lakes Collegiate High School — competing in three groups of three — have advanced to the semi-finalist round. On Wednesday, the Polk State groups presented their projects to a panel of judges during an event at MOSI in Tampa. Judges included officials from the Hillsborough and Manatee county school districts, Early Learning Coalition of Pinellas County, and the Pinellas County Education Foundation. This project was inspired in part by a head injury Hovious suffered while playing soccer. “I was asked a series of questions on the sidelines. The test determined I did have a concussion, but I saw room for improvement,” Hovious said. The concussion-scanning helmet would contain numerous sensors that, essentially, would perform a CT scan on an injured player, giving coaches and medical personnel a clear-cut answer on whether or not the player should return to the game. “There wouldn’t be any misreading or manipulating of symptoms,” said Szanyi. Wasmund had to have surgery on her arm several years ago, and along with a scar, she still carries with her memories of the hours she spent waiting for her procedure to begin. That experience inspired Wasmund and her teammates to create a robot that would prep surgery rooms and, hopefully, decrease the turnover time between procedures. Doctors, nurses, or their assistants would be able to program the robot for the day’s surgeries and load it with all the scalpels and other needed tools. Then the robot would arrange the scalpels and other utensils in the order they would be needed for each procedure. The robot would also know what emergency tools to have at the ready. Members of the GoGreen! team have often found themselves inundated with paper — and they decided to do something about it. Their electronic paper would feel and weigh the same as the stuff made from trees. It could also be folded and stuffed into a pocket. The difference, though, is that electronic paper could be used over and over again, and it could both upload and download documents. The invention could also save schools, businesses, and individuals money on their paper costs. 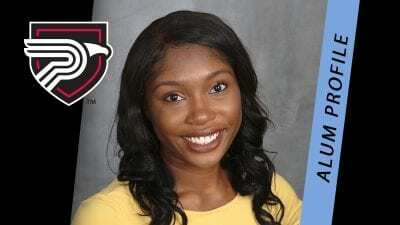 The three Polk State groups are among eight selected to advance to the semi-finalist round of the Tampa Bay region. One project from each service area will be selected to compete at the nationals, which will take place in Orlando. The winner of the contest will have the chance to work with New York-based innovation firm Fahrenheit 212 to develop a 10-page pitch presentation, a video/virtual prototype or rendering, and a plan for further development. Participating students are all juniors in Professor Suzanne Ramjattan Halverson’s STEM research course, which prepares students to study STEM disciplines at the college-level. 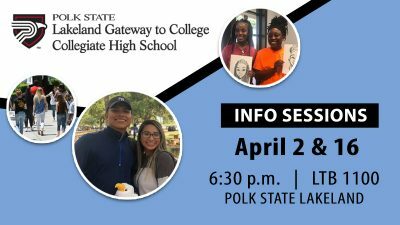 This is the first time Polk State Chain of Lakes students have participated in the contest. Feliciano said through the class and the Bright House experience, she’s gained a new sense of her own potential.